Thank you for considering Inn at Occidental when traveling with your pet. 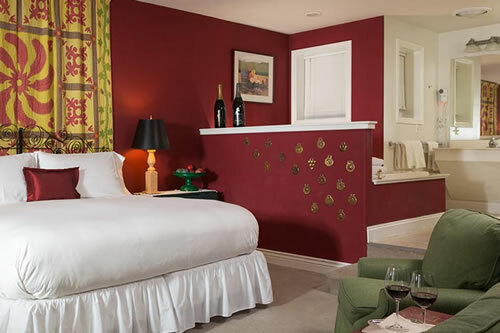 We offer four pet-friendly rooms plus Sonoma Cottage. Dogs must be well-behaved, housebroken, quiet and well-mannered. Please review our policies below when bringing your dog to the Sonoma Wine Country. A $40/pet/night fee applies. 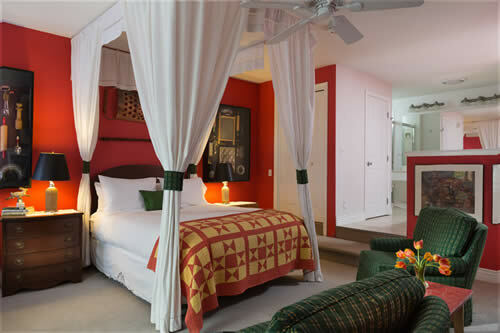 All pet-friendly Courtyard Rooms have either a King or Queen bed. 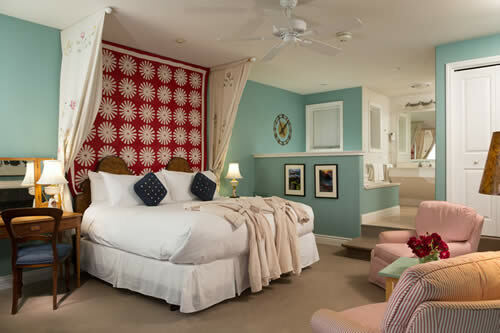 All have an in-room spa tub for two (plus a separate shower), television, fireplace, refrigerator, luxurious linens and robes, a private deck with views of our English Cottage Garden and a private entrance. 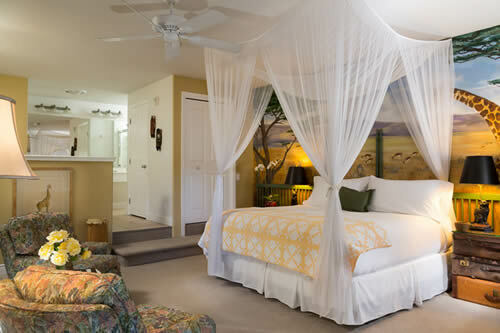 All rooms have free wireless Internet. Rest under a family tree! Sonoma Cottage is also pet-friendly. Click here to view our cottage located steps away from Inn at Occidental. Pets should not be left alone in the room at any time or be left unattended while on the property. While in the public areas of the Inn, pets must be on a leash. We ask that you do not bring your pet into the living room or the dining room. Pets are welcome in the courtyard or on the veranda. Please keep your pet off the furniture in the guest room and in the public areas. If your pet does sleep on the bed with you, we will provide a sheet for the bed. If your pet should have an accident on the rug, let us know as soon as convenient so that we can properly clean the area. Please take our other guests into consideration. Should your pet become disruptive, please excuse yourselves and calm your pet, so everyone can have an enjoyable stay.